In recent days, businesses have been facing a situation where their content has been copied and made available on other sites. This has brought distress among entrepreneurs in the marketing sector. The most frustrating fact is that they will have to pay to get their content to be removed from the other websites. To solve this Google has announced the Exploitative removal policy where Google removes the content from sites that exploit others in making them pay for removing their content. When will Google remove the content? 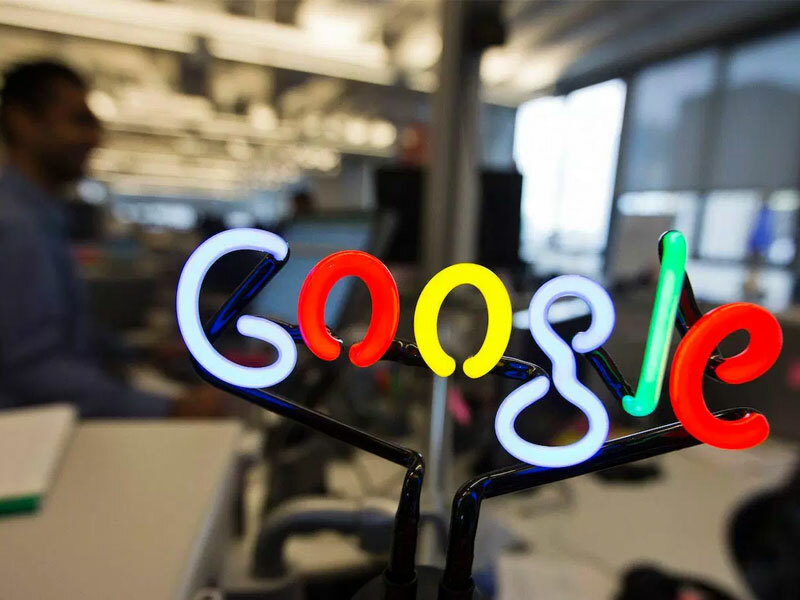 Google gets into action when the owner of the website refuses to remove or charges exorbitant fees for removing the content on to the business. Google will remove the content on prior review about the company. But there is something you need to do for Google to get into action; you will have to fill a form requesting Google to remove the content. 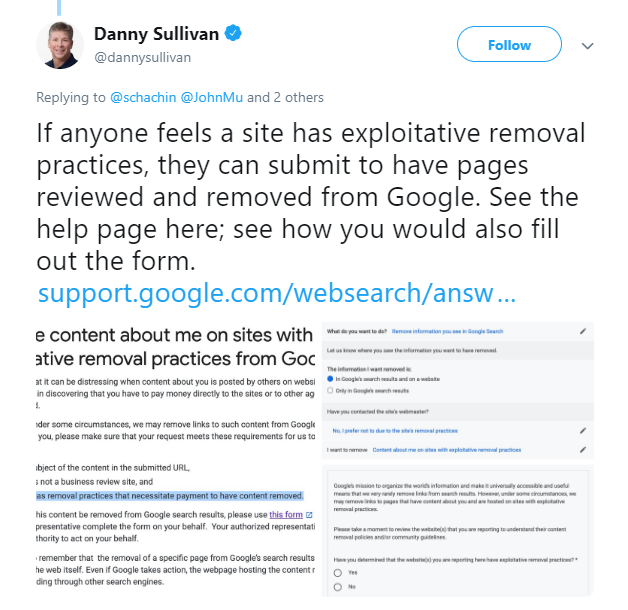 "If anyone feels a site has exploitative removal practices, they can submit to have pages reviewed and removed from Google. See the help page here; see how you would also fill out the form." You should be the subject of the content in the requested URL. The website should not be a business review site. If you undergo these requirements you can fill out the form, but before submitting the form better contact the webmaster about the removal of content. If they claim for payment, then you can submit the form. "If a photo or information shows up in Google search results, it just means that the information exists on the Internet and it doesn't mean that Google endorses it." The reason that lies behind contacting the webmaster is that Google can delete the content from its searches, but it is more likely for the content to remain in the site. So it is best to request the site owner to remove the content so that it won't be visible anywhere except on your site. "Contact us link: Find a "Contact us" link or an email address for the webmaster. This information is often on the site's homepage. Find contact information using Whois: You can perform a Whois ("who is?") search for the site owner using Google. Go to google.com and search for whois www.example.com. The email address to contact the webmaster can often be found under "Registrant Email" or "Administrative Contact." In simple words, webmasters are the ones to remove your content from their website, but if they refuse or charge you ridiculously, then you can get hold to Google by filling the form.